Technology is advancing at a rapid pace, yet much of our digital communication still relies on the keyboard. Starting with the typewriter – which debuted way back in the middle of the 19th century – we’ve had to supplement our speaking and writing with typing. 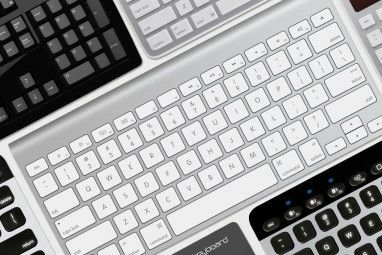 Even now, we still use the keyboard to communicate from computer to computer – websites, forums, chatrooms, instant messengers, email – and typing grows ever more important, especially with the recent boom in the usage of smartphones and mobile devices, which have replicated the keyboard in touchscreen variants. At one time, phrases like “typing speed” and “words per minute” were reserved for secretaries and data entry clerks, but not so anymore. Typing is everywhere, and information is traveling at faster rates. This means you’ll do well to keep up – your typing speed, that is. Improving your WPM doesn’t have to be a drag, though. 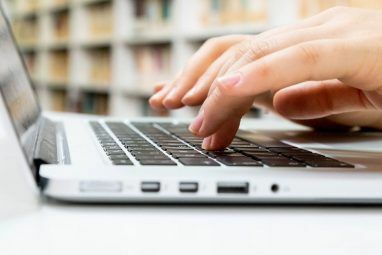 While there are plenty of typing games designed to improve your skills, here are three great typing-based games that you can play against your friends in real-time. Not only will you be sharpening your fingers, but you’ll have a blast all the while! 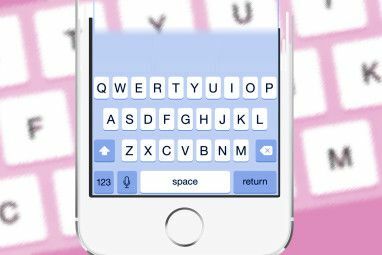 Typeracing is an online typing game that aims to help you improve your rate of typing. The great part of Typeracing is that it does not require you to register. All you have to do is enter a nickname and you can start playing right away. One of the perks of playing on Typeracing is that as you race in more and more games, you’ll build up points. When you reach a certain number of points, you’ll increase in level, which will unlock different car models for you to drive. In the grand scheme of things, it’s not particularly amazing, but it’s a fun way to customize your typing experience. All in all, Typeracing is nothing more than a simple platform for typing fun. The website has a section for testing your words-per-minute rate, as well as a single player mode for practice. For a multiplayer experience, you can set up a game and race against your friend or join a public game and race against strangers. 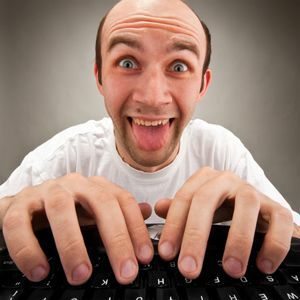 When it comes to multiplayer typing games, TypeRacer is definitely the most popular. After launching in 2008, TypeRacer has won awards and been featured in publications, including CNet, Kotaku, and NY Magazine. Though you can race as an anonymous guest, you can choose to register an account. By doing so, TypeRacer will track your progress and records, which serve to help you improve continually. One of the best features of TypeRacer is that the words you type are often quotes and passages from books, movies, and songs. When you play, not only are you building up your typing speed, but you’re also being cultured. Another great feature of TypeRacer is the ability to create private games, so you can race against your friends anytime you want. All in all, TypeRacer is the go-to online typing game for most competitive typers. It’s popular enough that you shouldn’t have any trouble finding an opponent to race against. Nitro Type is an online typing game that takes “speed typing” to the next level. Decked out in numerous features that other typing games sorely lack, Nitro Type is clearly the most involved multiplayer typing game on the web, and the best part is that it’s FREE. The game is currently in Beta phase, which means that you may encounter a few bugs here and there. I’ve played it a few times and have yet to run into any bugs, so it’s not bad at all in terms of stability. You can play Nitro Type as an anonymous guest, which means you don’t need to sign up. However, by signing up, you gain access to a bunch of cool features. If you really enjoy typing races, then registration is recommended. The coolest part of Nitro Type is that the game is more than racing with words – you get to manage a garage of cars, accessories, achievements, and more. Every race nets you money and experience, which can be spent to purchase newer, flashier cars. Achievements give you something to work towards, the proverbial carrot-on-a-stick to spur you towards improving your typing skills. The racing interface is the best I’ve ever seen in a multiplayer typing game. Granted, there aren’t many of these games floating around, but it does look nice. It’s like I’m really racing! The only downside is that I haven’t been able to figure out how to run a private race. If you want to race against a friend, you’ll need to queue up at the same time. This can be a pain if you happen to get unlucky and end up in separate games. All in all, Nitro Type takes the cake here as the best multiplayer typing game. Do you know of any fun typing games that I missed? Share them with us in the comments! that is so not true nitro type is stupid and oh! !, and don't get me started on minecraft!!!!!!!!!!!!!!!!!!!!!!!!!!!!!!!!!!!!!!!!!!!!!!! These are great. I've already tested my typing speed on Typeracing. 50 words per minute isn't bad for two fingers! 50 WPM with 2 fingers is pretty impressive. Lightning hands! Ha, that's awesome. Dave 'Lightning Hands' Parrack. It just makes me wonder how fast I'd be if I learned how to type using all my fingers! Nitro Type is indeed pretty cool! I'm glad you're enjoying it. Glad you like it! We just put up a bunch of new features yesterday like the ability to race with friends, new tracks, and bunch more. Enjoy!